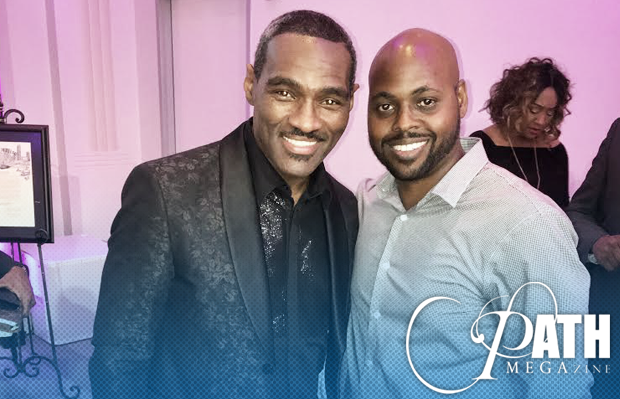 After only four years in his adoptive city of Houston, Texas, Earnest Pugh has made quite an impact. 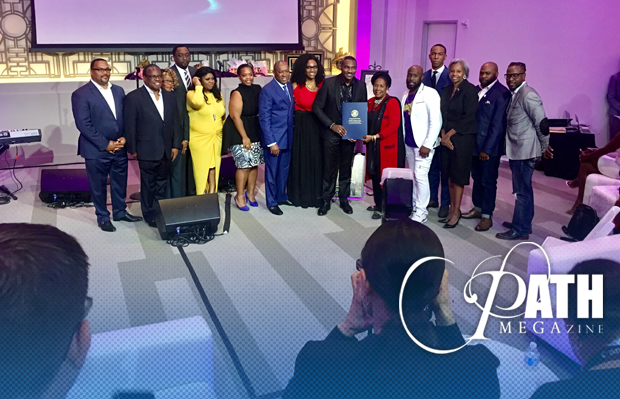 The fourth largest city in America recognized the Gospel star for his consistent accomplishments in Gospel after landing his 11th Top 20 Billboard single. 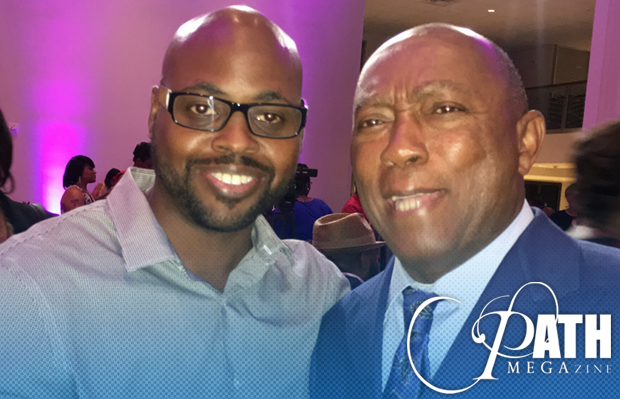 Mayor Sylvester Turner headlined and hosted the red carpet celebration at City Hall to a who’s who list of artists, politicians, and on-air personalities. 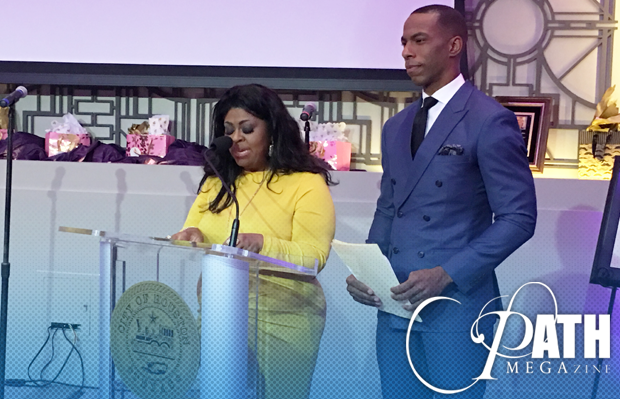 Some notables in attendance included Kim Burrell and FOX 26 News Anchor Jonathan Martin who co-hosted the event. 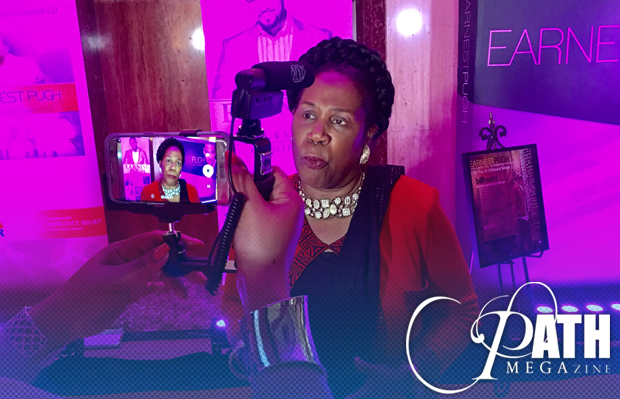 Gospel artist Kathy Taylor, Sunday Best finalist David Michael Wyatt, Nikki Ross, Congresswoman Shelia Jackson-Lee, Lonnie Hunter, Anthony Faulkner, Chad Brawley, Terence Hartford, Bishop Daryl Brister, and Pastor Shannon Frazier to name a few. 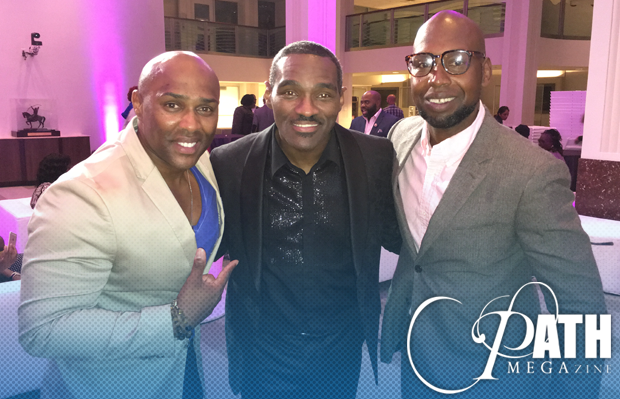 The evening was highlighted with the unveiling of Pugh’s new music video for his current hit single, “I Need You to Breathe,” written by Lucius Hoskins, Ken Hoskins, and Alfred Singleton III, who were all in attendance. Pugh gave the writing trio plaques to commemorate the success of the Top 10 single, and also took to the stage to sing and thank a few people who had been influential in his early days of music. 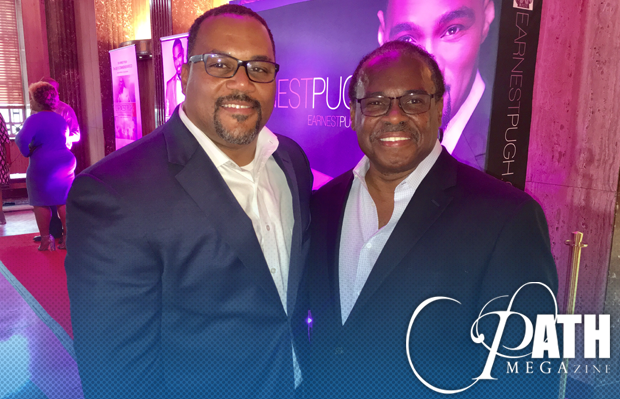 I found it particularly heart-warming when Pugh talked about meeting his good friend and business partner Keith Williams. The two scrounged up $85,000 dollars to complete the album that birthed the hit song, “Rain on Us.” The album would go on to make Pugh a household name. Now Keith Williams serves as President of Earnest’s EPM Music Group, for which Williams is also a artist on the roster. Pugh’s family was in attendance for the first class event. 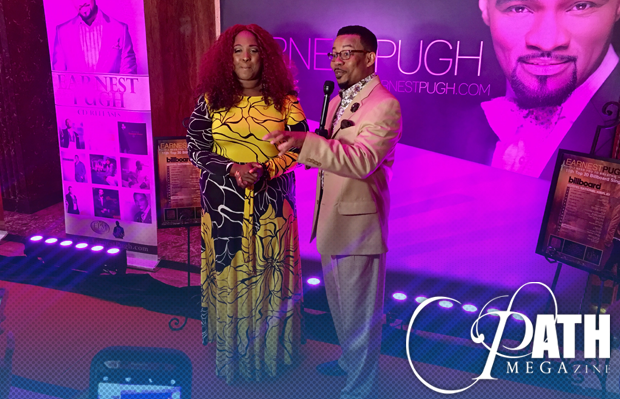 His daughter Kira Pugh-Green and his sister Earnestine Pugh-Rodgers came to lend their support for the Gospel crooner. Pugh’s 9th album, Fully Persuaded, will be released June 2nd. The album is being produced by Michael Bereal, who produced Pugh’s “Rain on Us” and “I Need Your Glory”; Lucius B. Hoskins, Keith Williams and E. Devon Goodwin. This entry was posted in Cover Stories, Gospel, Pictures, Reviews and tagged Billboard Celebration, EARNEST PUGH, Mayor Sylvester Turner, video premiere by Kris Patrick. Bookmark the permalink.